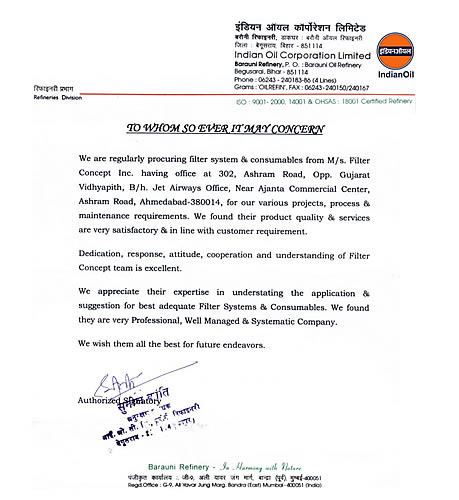 Appreciation Certificate received from Indian oil Corporation. 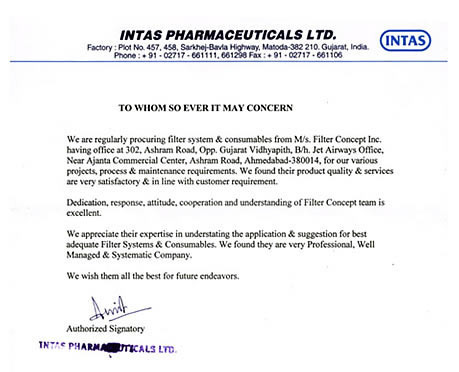 Appreciation Certificate received from Intas Pharmaceuticals Ltd. 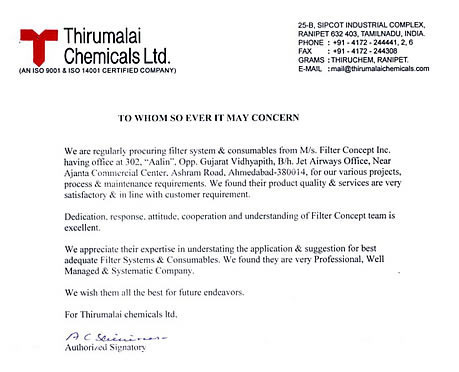 Appreciation Certificate received from Thirumalai Chemicals Ltd.